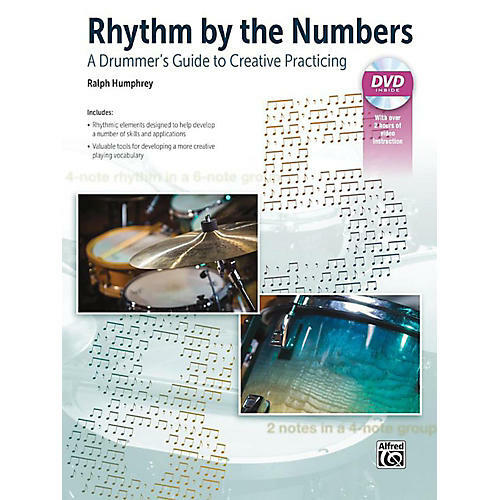 Rhythm by the Numbers provides a fundamental and comprehensive way to learn and use rhythm in drumming. Born from the author’s lifelong interest and involvement with rhythm and rhythmic exploration, this book will help students become more creative players by developing vocabulary that does not come from rote learning. The method presents notes within a given metric space that can be applied in various ways at the drumset in any style, in any tempo, and using any note value. The DVD includes examples of Ralph Humphrey demonstrating various ways to apply selected rhythmic elements from each chapter.